Once in a lifetime a Turkman weaving might come along that breaks all the traditional rules offering a rare insight into the religious and spiritual lives of those fierce nomadic horsemen. This ersari trapping is like a Turkman ‘Rosetta stone’ for me. 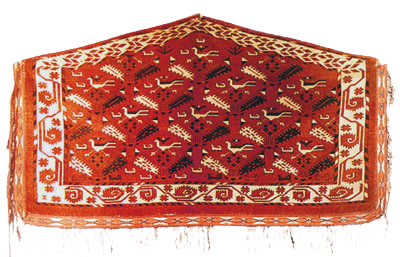 For what purpose were Tekke Bird Asmalyks woven? 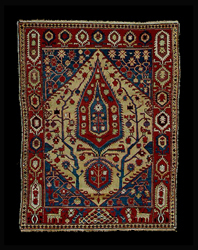 This paper deals with the great number of rugs woven by Armenians that were not inscribed.